The selection committee on CBI chief comprising Prime Minister Narendra Modi, chief justice of India and leader of largest opposition party in Lok Sabha Mallikarjun Kharge met on Wednesday evening to discuss the case of reinstated director Alok Verma. The panel is reported to have decided to hold a second meeting on the matter on Thursday. Senior Supreme Court judge, Justice AK Sikri was part of the selection committee in place of Chief Justice Ranjan Gogoi. CJI Gogoi stayed away from the meeting as he authored the judgement by which Verma was on Tuesday reinstated as CBI Director and his powers were restored albeit with a rider that he would “cease and desist” from taking any “major policy” decisions and only attend routine functions. Earlier in the day, Verma resumed office, 77 days after he was sent on forced leave by the central government through a much-criticised late-night order on October 23, 2018, which was set aside by the Supreme Court. Soon after he resumed duties, Verma revoked most of the transfers effected by then director (in-charge) M Nageshwar Rao. The October order sent Verma and his deputy Special Director Rakesh Asthana, booked by the agency on corruption charges, into exile in a first-of-its-kind move by the government in the agency's history. The government tried to justify its decision, saying it became necessary amid an unprecedented feud between the two senior-most officials of the agency who had levelled charges of corruption on each other, an argument rejected by the apex court on Tuesday. The government had given charge to then Joint Director M Nageswara Rao who was later promoted as additional director in the agency. The next morning, Rao had effected a large number of transfers, including of officials probing a corruption case against Asthana like DSP AK Bassi, DIG MK Sinha and Joint Director AK Sharma. 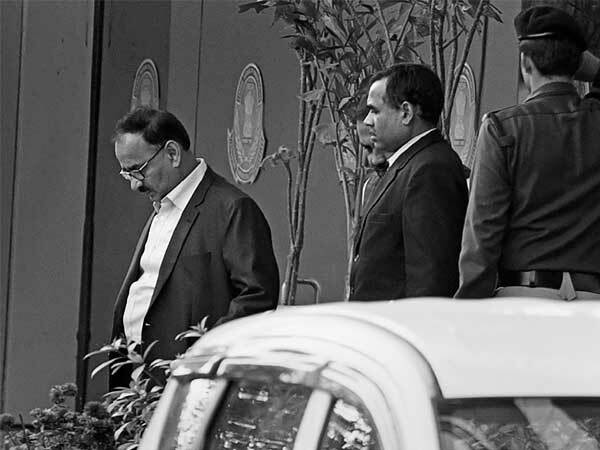 In its order Tuesday, the Supreme Court set aside Verma's forced leave but restrained him from taking any major policy decision till the CVC probe into corruption charges against him is over. In the absence of any clear definition of "major policy" decisions, the grey area exists as to what extent Verma's powers will be limited. The apex court said any further decision against Verma, who retires on January 31, would be taken by the high-powered committee which selects and appoints the CBI director. The SC has given the selection committee one week to meet and discuss whether Verma needs to be removed or not. “The transfer of the director without the consent of the selection committee negates the legislative intent that is to ensure independence of CBI,” the court said. “Within a week, the selection committee, led by the PM, will meet and look into the aspect of whether Verma needs to be removed or not,” it said. The selection committee comprises prime minister Narendra Modi, the leader of opposition Mallikarjun Kharge and the Chief Justice of India. Kharge had earlier asked the government to defer the meeting since he had been busy with the Lok Sabha proceedings and hadn’t studied the Supreme Court order on Verma. In his letter, he had asked for the meeting to be held on January 11, giving him enough time to study the judgment. He said that he would be able to put forth his party’s point of view only after studying the judgment. While opposition claimed victory over the SC verdict in Verma’s case, with Congress president Rahul Gandhi saying “some justice has been done”, government defended itself. Finance minister Arun Jaitley said the removal of the two officials was necessary “in the larger interest of fair and impartial investigation and credibility of CBI”.